I’ve put my new game up on Kongregate for you all to play. 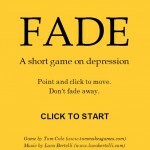 Fade is an ‘art game’ (inspired by creations like Rod Humble’s The Marriage) that I made about what it’s like to have depression. It’s my own experiment in using ‘mechanics as metaphor’ and to convey a wider range of issues using game mechanics. 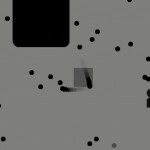 You can play Fade on Kongregate here. Comments, feedback and views welcome.